As the Shonen Jump mashup fighter, Jump Force, gets closer to release, more information keeps rolling out about stages and characters. Today, via publisher, Bandai Namco’s Facebook page, we got a look at a neat new stage that will appear in-game. 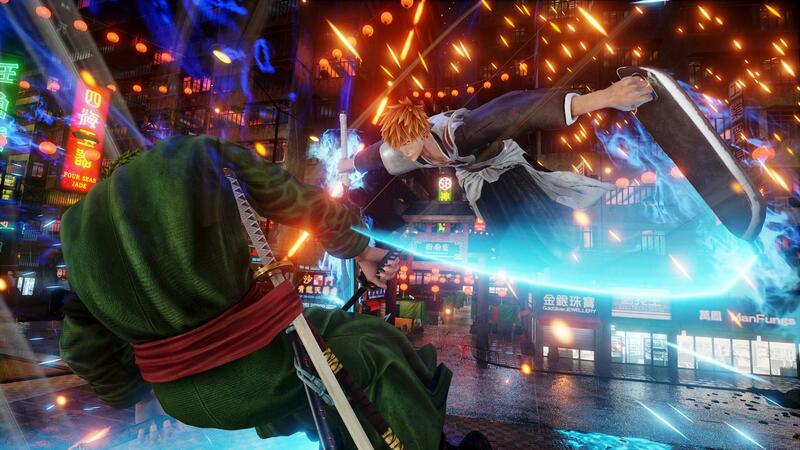 It looks like Jump Force will include a stage from One Piece called Marineford, and it looks beautiful. The main focus is a huge, concrete castle-like fort in the background, with water surrounding and a pirate ship on the shoreline. The stage is eye-catching, yes, but even more so when it’s destroyed, as much of it can crumble to the ground and leave sections caught on fire. There are also various screenshots featuring the stage covered in ice crystals and explosions, as well as images of it during night and day. You now have a stage fit for the vast list of One Piece characters featured in the game, including Monkey D. Luffy, “Pirate Hunter” Roronoa Zoro, Vinsmoke Sanji, Sabo, and Blackbeard. This 3-on-3 anime-inspired fighting game is set to commemorate the 50th anniversary of Weekly Shonen Jump, a popular manga magazine series. Jump Force will grab the attention of anime fans when it releases for the PlayStation 4, PC, and Xbox One on February 15, 2019. Additionally, you can purchase the Ultimate Edition for early access on February 12th, 2018.